Compact form meets function with this Rick Hinderer Jurassic 3.25" tactical flipper folder in textured OD green G-10. 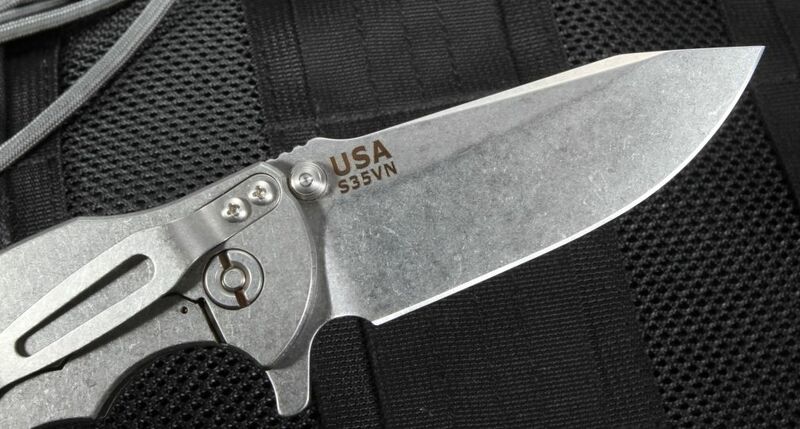 The blade constructed of American-made CPM S35VN stainless steel with a fine stone washed finish. The thumb rest of the blade spine features jimping for a positive forward grip. 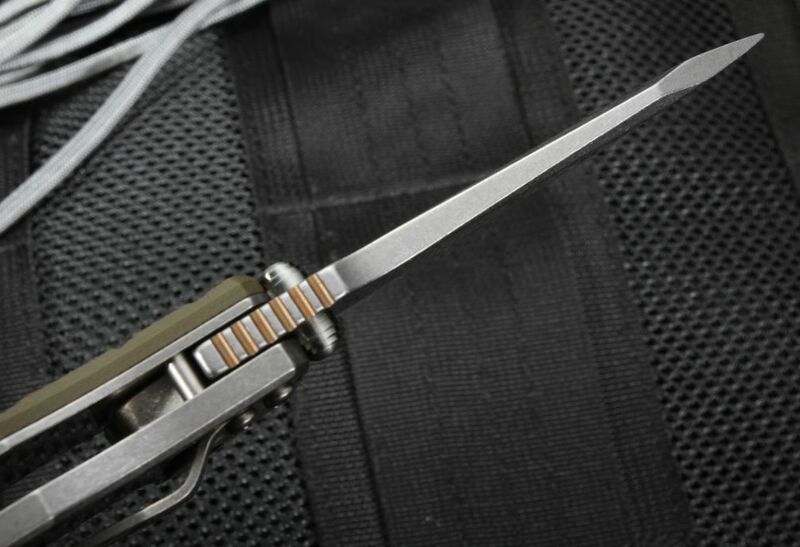 Dual thumb lugs, as well as a flipper, make the Jurassic fast and efficient to open with either the right or left hand. Flipper serves as an index finger guard in the open position. 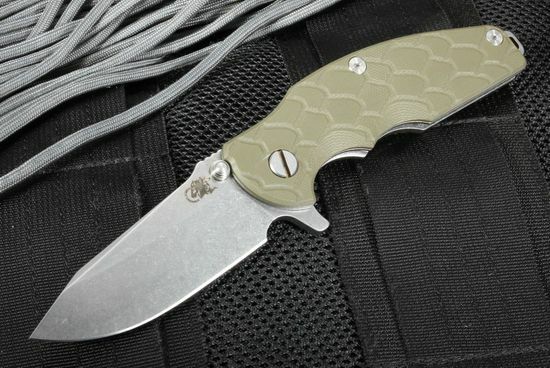 The Rick Hinderer Jurassic 3.25" has a handle constructed out of the highest grade titanium and indestructible textured OD green G-10. The texturing on the G-10 is a scale-like pattern, giving this Jurassic and prehistoric look and feel. 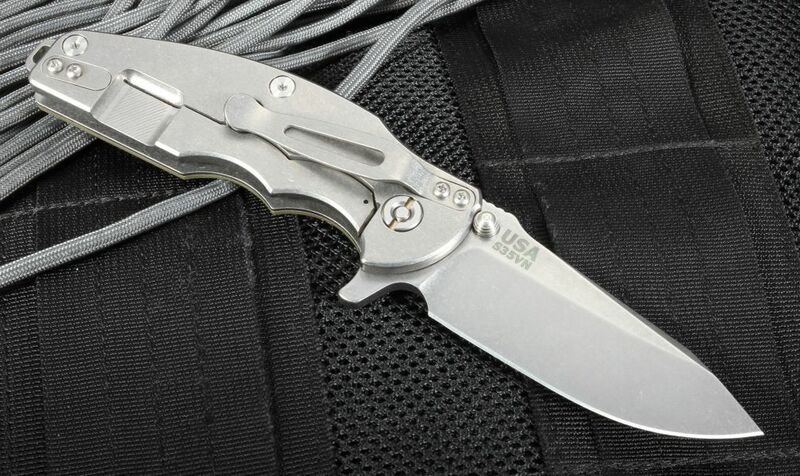 The frame lock side of the handle has a Rick Hinderer designed lock bar stabilizer to prevent over extension of the lock. Titanium barrel style spacers and well as a rear titanium spacer that features a raised lanyard hole. 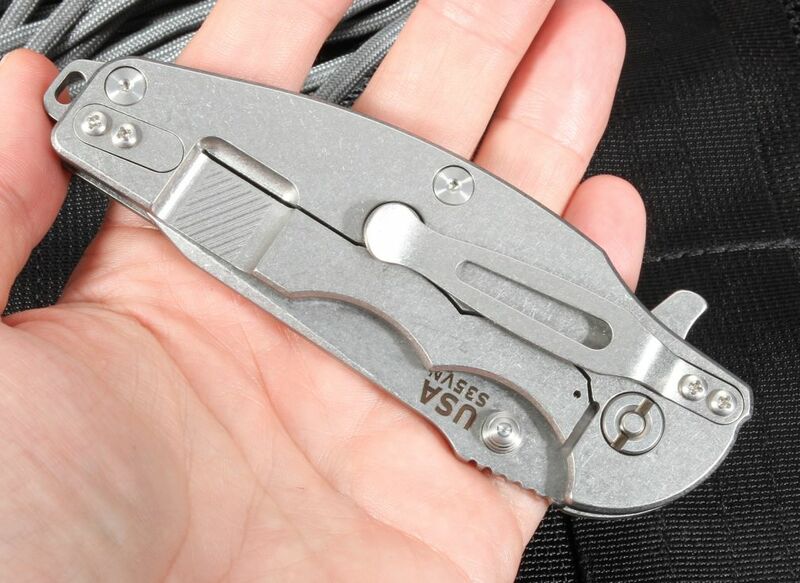 The stone washed titanium pocket clip can be mounted for tip-up or down carry. The contours of the handle on the Jurassic form perfectly in the palm of your hand.